Does it cost money to review artists? How Much do you pay me to review the music? Is it required I join your Fee Share program to review music? I'm a new music blog (or podcaster/radio station/other music site). How do I begin receiving artist submissions from MusicSUBMIT.com? I filled out your form, but no artists have been submitted to me so far. When will the submissions begin? Can I just browse your database for new artists to review? How do I login to my Reviewer's Account in MusicSUBMIT to review artists? How do I listen to the music? If I don't like the artist, do I have to tell them why? Okay, so if I like the band, I click "Approve". Then what happens? Can I embed an artist's MusicSUBMIT Media Player for content on my blog? Where do I edit my "Approve" (or A-Letter)? I don't have time to review new bands every day...maybe once per month. How can you help? Can I change the genres I accept and the number of artist submissions per day? There's another staff member at the station who wants to review artists through MusicSUBMIT. Do we need to share accounts? I want to continue receiving artist submissions but I don't want all the email notifications. Can I turn OFF the emails but still get Artists in my queue? No. Actually, we pay you to review the artist submissions. We receive small promotion fees from the Artists, and share part of these fees with you the Reviewer. You get paid 50 cents per artist. You're required to listen to at least 15 seconds of music. Anytime after 15 seconds, you may click Approve or Reject and receive a 50 cents credit. We pay via Paypal at the end of each month. Check out our Rules page for more information on MusicSUBMIT's Fee Share program. No, it's not required. If you don't want to accept payment for reviewing music, you can still review the music for your station or blog. Easy. Just fill out this form and we'll check you out. We'll begin submitting artists your way within 24 hrs! Well, there are some sites we don't submit to, including personal social-networking pages where an artist can "friend" and submit to for free. 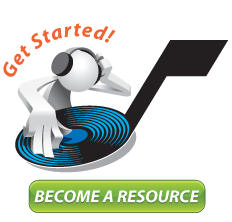 You'll need to have a legit music site for us to begin submitting indie artists your way. Actually, no. We submit artists to you, when the artist is active and ready for promo. This way, you know you're not reviewing a band that has already broken up. Two ways. One, you can go to this page and enter your username & password. Or, check your email for a New Artist Submission. Click the green button to automatically login to your account. Simple. Just click on your New Artists for Review queue. Then click on any Artist – and get ready to hear the music stream. No. Just click the "Reject" button, and the artist profile will be deposited to your "Rejected" folder, none-the-wiser. We don't disclose to the artist which sites "rejected" their music. Only when the artist is "approved" do they receive a notification from you. When you approve an artist, your "Approve Letter" will automatically email the artist. The artist can reply back to your request. You can alsoÂ Download the mp3s or Embed html code for the Music Player to be used as content on your site. Go to My Settings. You'll see a pre-constructed letter we provide for new MusicSUBMIT Reviewers. Edit the letter to your specifications, and correct any address changes in the boxes. Then click "Update". I don't have time to review new bands every day....maybe once per month. How can you help? Don't worry, the artists submitted to your MusicSUBMIT Reviewers Account will wait in your queue for 60 days before dropping off. So login when you have the time and review at your leisure. Or click any New Artist Submission in your inbox – you'll always be taken to your queue with the artists waiting for you. Of course. Go to "My Settings" to tweak the 5 Genres you accept, your Daily Submission Limit, and your Allow Submissions box to turn yourself ON/OFF at will. Nope. Every DJ, Music Director, Editor, etc. at your station/magazine can have his/her own MS Reviewer's Account, as long as you review different genres, so you don't need to share Reviewer accounts. Unless you want to, of course. Then feel free to distribute the username/password to anyone who reviews new submissions at your music company. Yes. Go to your "My Settings" page and uncheck the box next to your email address. You won't get notifications, but artists will still appear in your New Artists for Review queue. "Brilliant Idea!!!!... Its better than the EPK where you have to store files . . . your service is very user friendly!" Get Downloads and/or CDs - your choice! Over 75% of all artist have Videos in their profile. Grab content for your site!